Game Text: Damage +1. Fierce. Toil 2. 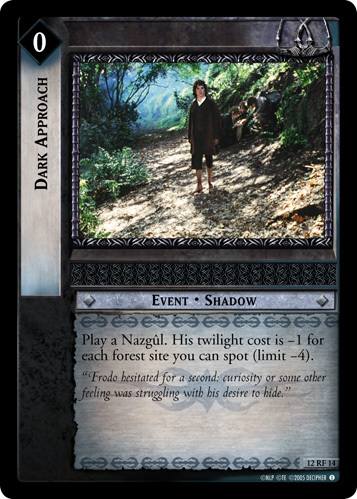 (For each Orc character you exert when playing this, its twilight cost is –2.) 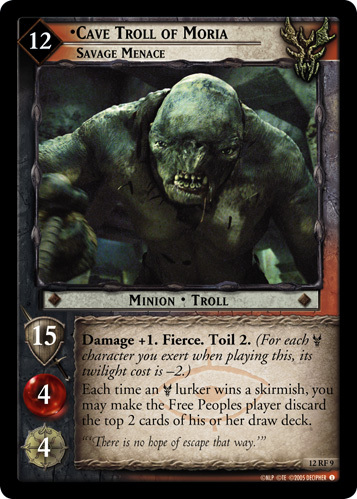 Each time an Orc lurker wins a skirmish, you may make the Free Peoples player discard the top 2 cards of his or her draw deck.